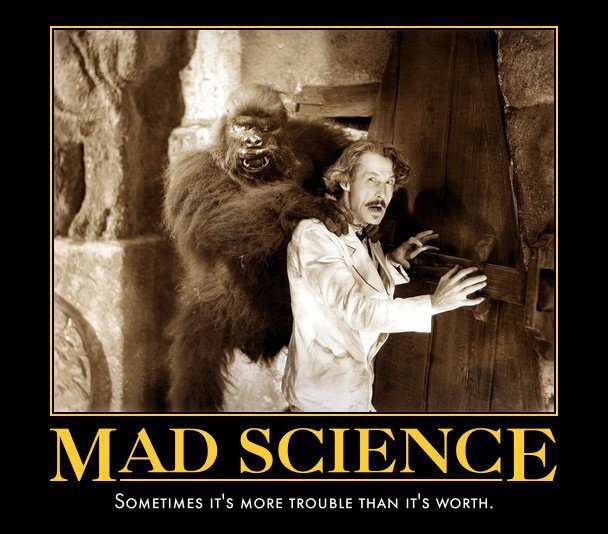 Hey there mad monkey fans ! 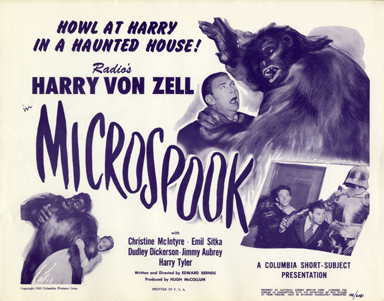 Today were talking about a silly little old dark house-ish comedy called Microspook. 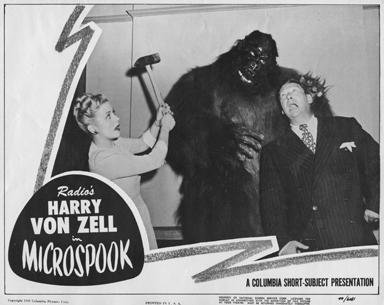 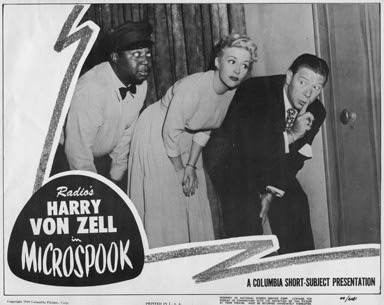 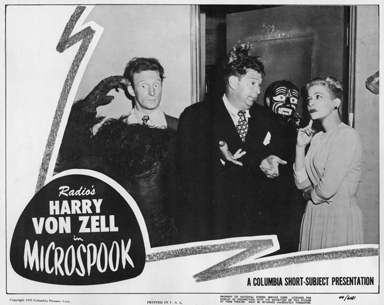 Microspook stars veteran radio comedian Harry Von Zell, Christine McIntyre, and Emil Sitka. 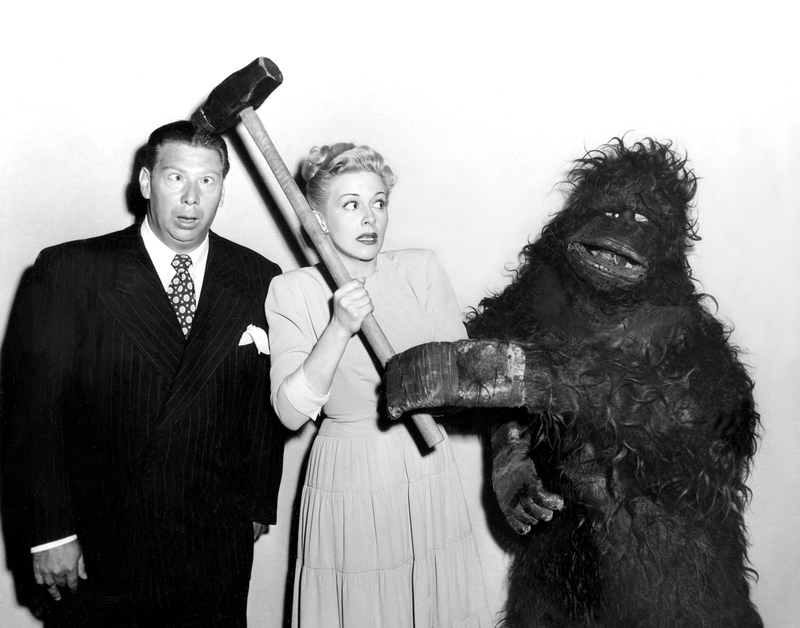 Like most movie gorillas, I have a decided weakness for a pretty girl...or Three! 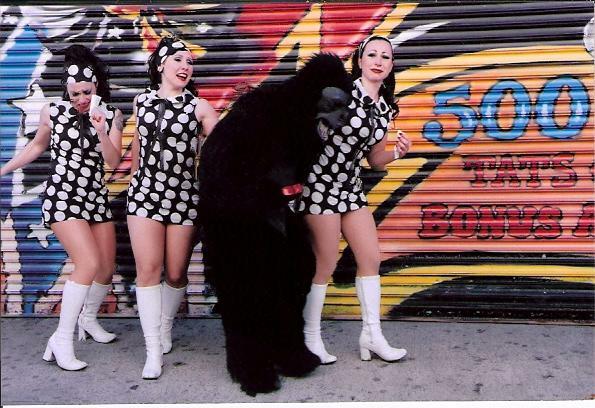 Burlesque and gorillas have gone together like apple pie and ice-cream for decades, and the concept is still going as strong as ever. 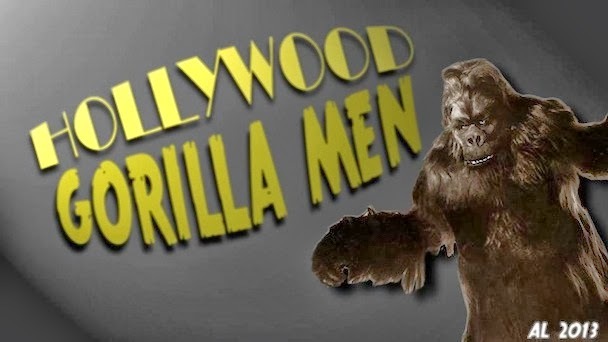 Now throw in some awesome surf guitar performed by guys wearing Mexican Wrestler Masks, and you have an impossibly cool combination that's hard to beat! 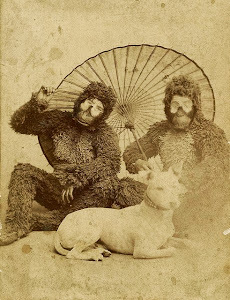 The burlesque cuties in this equation are "The World Famous Pontani Sisters". 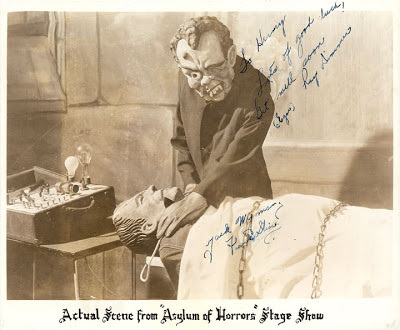 Old E-Gor has dug to the deepest depths of monkey memories to unearth this fantastic Crash Corrigan autograph...with a twist! 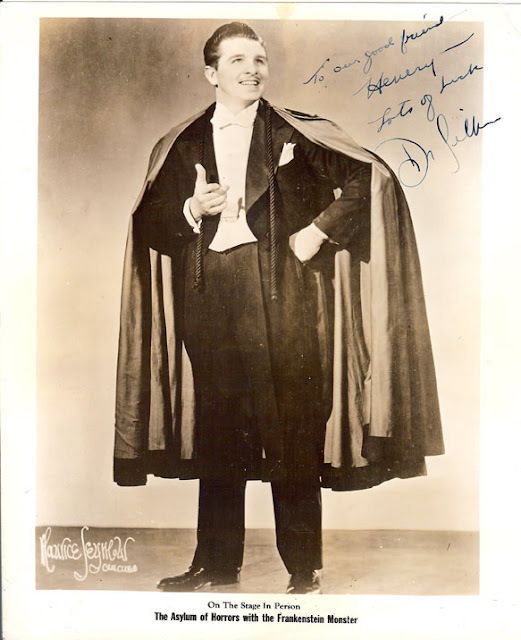 This is PRE-Corrigan,,,that's right, long before he came to be known by the moniker Crash Corrigan, he was known as Ray Benard! 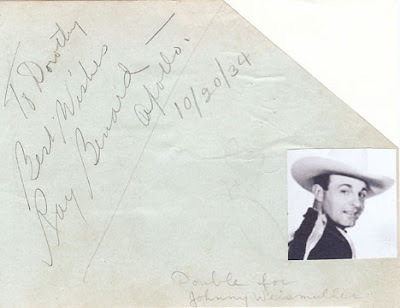 Ray wrote on the autograph,"Double for Johnny Wiesmuller", which with his size and athleticism Ray was ideally suited for. 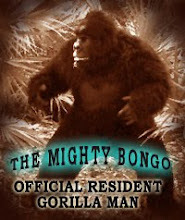 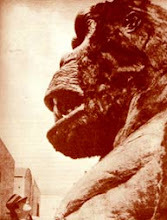 In the interest of keeping things Ape-ish, here is a nice shot of Rays original suit (Bonga) from around this same time. 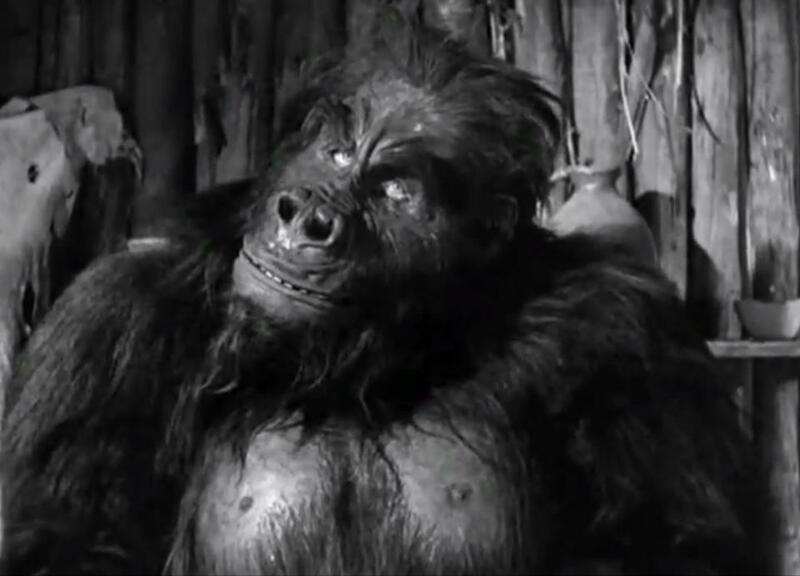 Charlie Gemora in "Stark Mad" 1929.